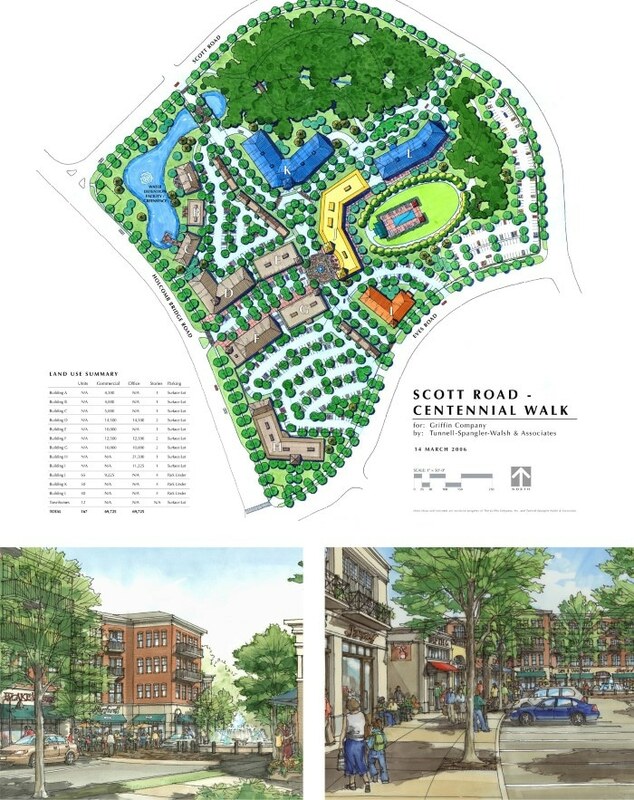 Centennial Walk is a new live/work community being developed in North Fulton County. 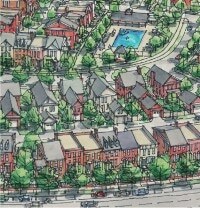 Designed as a walkable community, Centennial Walk encompasses commercial space, assisted living, condominiums, and townhouses. Located within walking distance of Hillside Elementary and Centennial High School, the development has a traditional neighborhood look and feel, with tree-lined sidewalks, numerous parks and a community pool. The neighborhood’s commercial center features a Main Street with hidden parking, while retail and restaurant space are all within walking distance to community residents. Centennial Walk offers the best of both worlds: the warm charm of a neighborhood community with the urban convenience of walkable destinations.